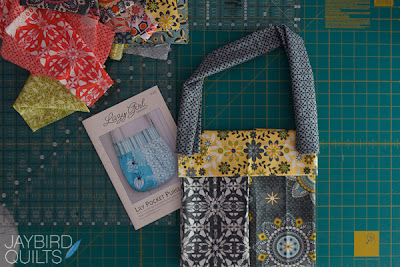 The Fat Quarter Shop and Julie Herman of Jaybird Quilts have teamed up to present you with a Fat Quarter Shop Exclusive! 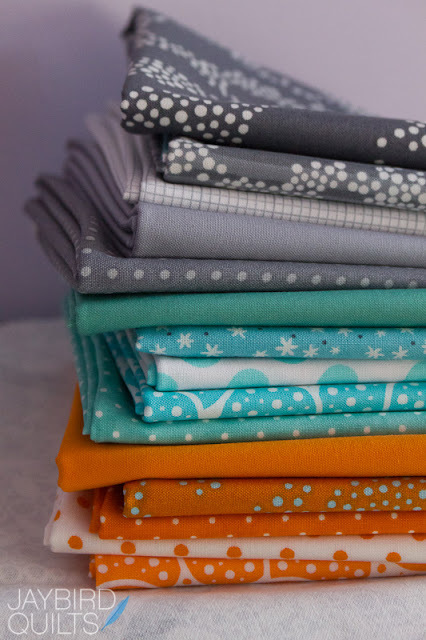 Julie has specially selected 12 of her favorite prints along with 3 coordinating solids from our store for this special bundle you will only find at the Fat Quarter Shop. A: I honestly don't know yet! 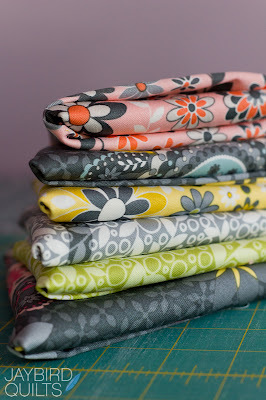 I have so many ideas that I might need to get a 2nd bundle so I can make 2 quilts. I don't often get the opportunity to make one of my quilt patterns twice but I think this bundle would make an amazing Firecracker quilt. A: I'm working on a few things right now. 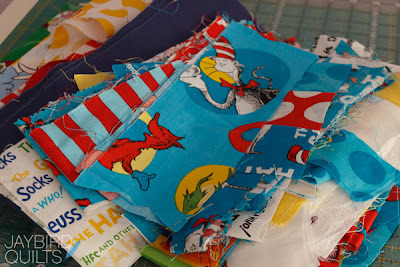 I'm using an assortment of Dr. Seuss & Cat in the Hat fabrics to make a quilt for my niece. 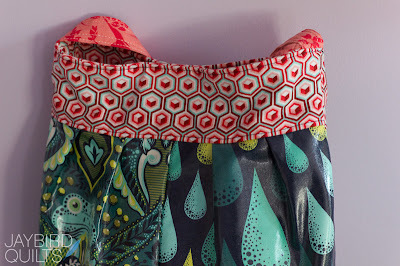 I'm also planning out the fabrics for a 2nd "Lily Bag" as the first one I made has quickly become my favorite. I like to lay out my fabric options in the location I think they would be best in the bag and then snap a photo. I wait a few days and go back to the photo to see if I want to make any changes and then I make the bag! Leave a comment on this post choosing one of each pair you think Julie would have selected. 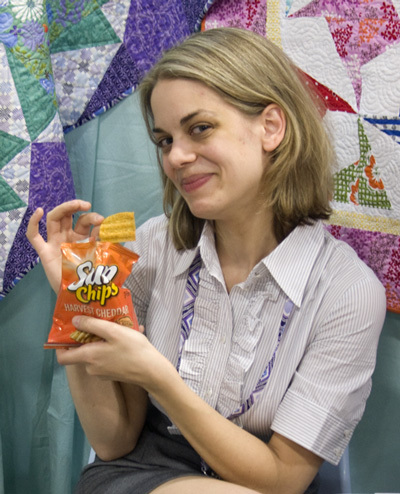 Answer correctly and you will have a chance to win one of her Blogger’s Choice Fat Quarter Bundles. You have exactly one week from this post till the contest closes.